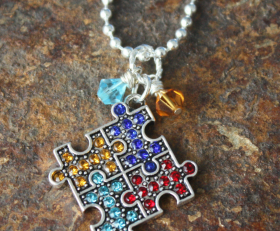 Beautiful way to show your support for Autism. 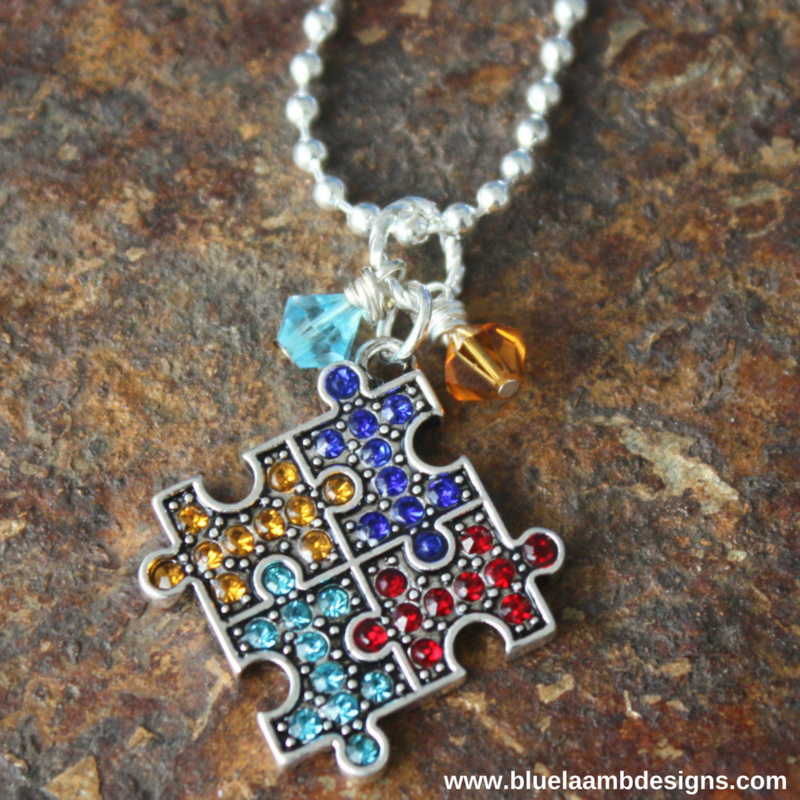 The puzzle pieice, they symbol of Autism, is all crystals, It’s accented with Swarovski crystals and hangs from a chain in the length you choose. Categories: A Little Bit of Everything, Awareness, Family, Necklaces.